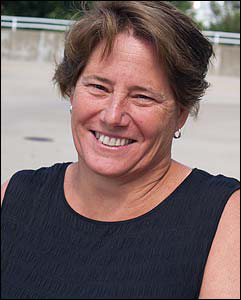 In October 2010, Liz Fry swam in NYC Swim‘s Ederle Swim, a 17.5-mile tide-assisted swim through New York Harbor from Manhattan to Sandy Hook, New Jersey. Yet when she reached Sandy Hook, she wasn’t all that tired. As all the swimmers were getting onto their accompanying motor boats to return to Manhattan, Liz thought to herself, “Isn’t the tide soon going to turn back toward Manhattan again? Why don’t I just swim back?” And so in 2011 she did. On June 14, 2011, Liz became the first person ever to complete a Two-Way Ederle Swim, the 35-mile swim from Manhattan to Sandy Hook and back again, in 11 hours, 5 minutes, and 7 seconds. And on top of that, she set new records for each direction. She made it from Manhattan to Sandy Hook in just 4 hours, 59 minutes, 6 seconds, beating her 2010 time and, by 7 minutes, the previous record of Tammy van Wisse of Australia. 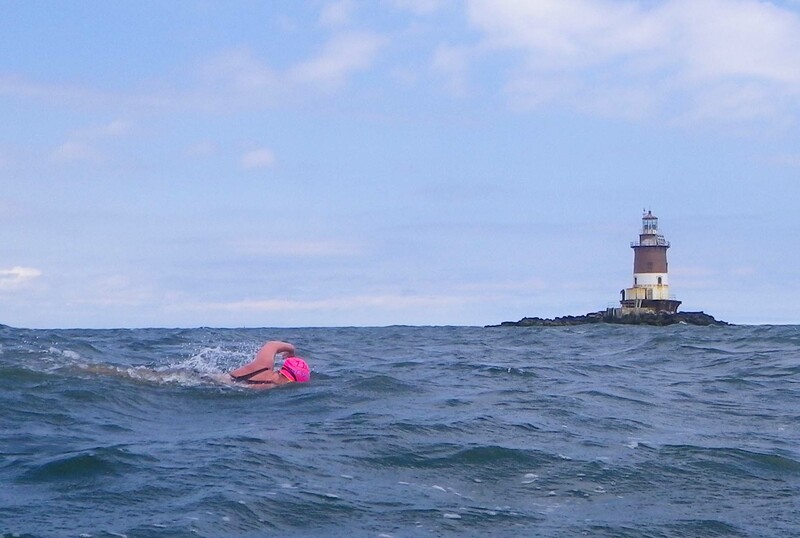 And she made it back in just 6 hours, 6 minutes, 1 second—also a record, and not a bad time for someone who had already completed a 17.5-mile swim!